WASHINGTON — A House committee chairman on Wednesday formally asked the IRS to provide six years of President Donald Trump’s personal tax returns and the returns for some of his businesses as Democrats try to shed light on his complex financial dealings and potential conflicts of interest. Neal made the request in a letter to IRS Commissioner Charles Rettig, asking for Trump’s personal and business returns for 2013 through 2018. He asked for the documents in seven days, setting an April 10 deadline. An IRS spokesman said the agency had no immediate comment on Neal’s request. “We have completed the necessary groundwork for a request of this magnitude, and I am certain we are within our legitimate legislative, legal and oversight rights,” Neal said in a statement Wednesday evening. Trump broke with decades of tradition for presidential candidates by refusing to release his income tax filings during his 2016 campaign. He has said he won’t release them because he is being audited, even though IRS officials have said taxpayers under audit are free to release their returns. Trump claimed at a news conference following the November election that the filings are too complex for people to understand. 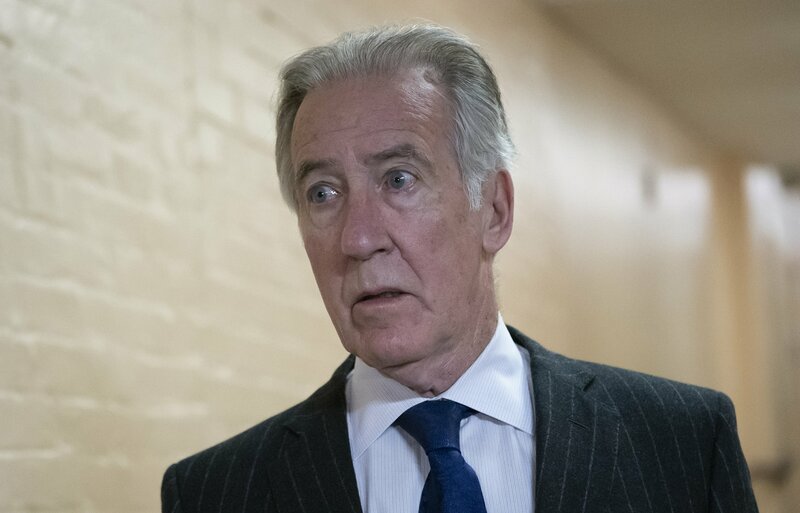 Neal is one of only three congressional officials authorized under to make a written request to the Treasury secretary for anyone’s tax returns. The Internal Revenue Service is part of the Treasury Department. A rarely used 1924 law says the Treasury chief “shall furnish” the requested material to members of the Ways and Means Committee for them to examine behind closed doors. A spokesman for Mnuchin didn’t immediately respond to requests for comment. Mnuchin suggested in testimony to Congress last month that he would protect Trump’s privacy if the House Democrats requested his tax returns. “We will examine the request and we will follow the law … and we will protect the president as we would protect any taxpayer” regarding their right to privacy, Mnuchin said.